The political debate surrounding the Affordable Care Act (Obamacare) and healthcare has allowed some new healthcare trends to fly under the radar. Many of these new medical trends center around the advancement of technology in the healthcare field. Major tech companies such as Apple, Google, Microsoft and Amazon see an opportunity to bring efficiency and customer-centric approaches to an industry that they often consider dated and resistant to change. Big tech companies are pushing to redesign how healthcare is structured, delivered and consumed by individuals. Destroying old service models and products are something that Silicon Valley, and its imitators, are very good at. Changing how healthcare is actually delivered to patients is a goal for many of the big tech companies. however, some of these new solutions can, and will, challenge long-established healthcare systems and models. An example of this unexpected change is by the company global taxi company Uber, which operates in 633 cities worldwide. Researchers from the University of Kansas and Scripps Mercy Hospital in San Diego have noted a medical transportation pattern in a total of roughly 800 cities scattered over 43 states. These researchers noticed that from 2013 to 2015, in cities Uber offered its ride-hailing service, ambulance usage rates dropped by 7 percent. Their data indicates that some people will choose to use Uber’s lower-cost service instead of the more expensive ambulance service. The researchers concluded that ride-hailing services like Uber decrease unnecessary ambulance usage, which should lower overall medical transport wait times. As ride-hailing companies like Uber and Lyft expand, how people think about and use medical transportation services will change. Much in the same way as tech powerhouses like Google, Microsoft and Apple changed the way people socialize and shop, there is a trend for medical institutions and tech companies to adopt similar approaches in healthcare monitoring. Not surprisingly, Stanford University and its Silicon Valley neighbor and tech giant Apple teamed up to focus on using the Apple Watch for medical purposes. In the study, financed by Apple, Stanford University recruited consumers by smartphone and experimented with using an app on the Apple watch to identify irregular heartbeats. 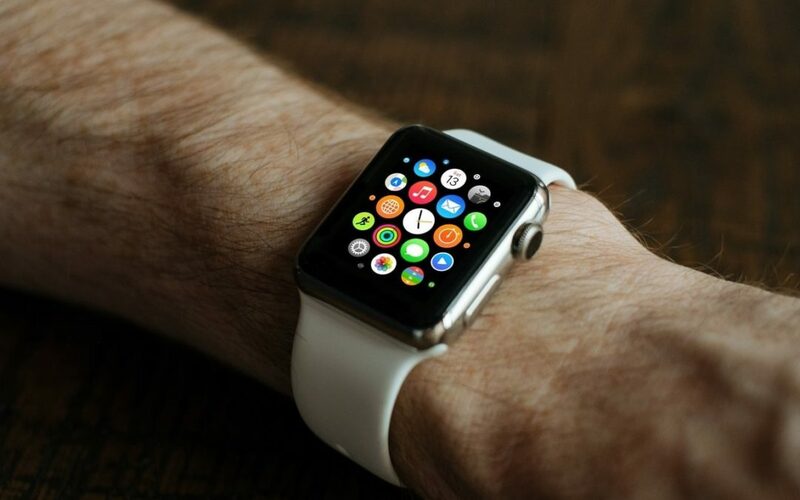 Apple’s drive to eventually use the Apple Watch as a medical device has been helped by the fact that the smartwatch is now an autonomous device. Now that the Apple Watch does not need an accompanying smartphone in order to function, other technology companies are racing to create medical accessories that utilize the device’s features. One example of this is an electrocardiogram for monitoring heart activity. The Kardia Band has been approved by the FDA and is able to take EKG readings from the wearer’s wrist. This data is sent to the wearer’s medical professional where it is properly assessed. Wearable devices like this are pushing the boundaries of medical monitoring and providing more information to both healthcare practitioners and their patients. This collaboration between Apple and Stanford University is just one example of the current trend of tech companies trying to redesign healthcare. Other medical examples involve the tech giants Microsoft and Facebook. Seattle-based Microsoft has teamed up with the University of Pittsburgh Medical Center in order to launch a digital virtual assistant for physicians. The assistant records the conversation between health professionals and patients, analyze the conversation and then sends a summary to that patient’s EMR. In a similar fashion, Facebook has experimented with offering virtual services in healthcare by collaborating with Children’s Hospital in Los Angeles. Oculus, the virtual reality gear maker owned by the social media giant, created virtual reality simulations for both physicians and medical students so that they could practice working with high-risk pediatric medical emergencies. Technological advances can improve the quality of care for many patients, but the financial incentives are hard to ignore. Currently, healthcare-focused equity and start-up deals are booming. In 2012, equity deals in this field were $277 million, but by 2017, this number had multiplied to $2.7 billion dollars according to data from CB Insights. Interestingly, among the major tech companies, each one has its own unique strategy. Some are focusing on digital storage and analytics (Microsoft), expanding healthcare/consumer products (Apple), while others may expand into pharmacy market (Amazon). All of these companies have the potential to make the healthcare system more efficient while improving medical outcomes. For major tech companies, the healthcare market is simply too large to ignore with roughly $3 trillion spent annually on healthcare in the U.S.
A technological revolution in healthcare has been predicted for decades. Some of these predictions of revolutionary change have not lived up to their hype. But now, it seems like some of the hype is living up to the predictions. More effective delivery methods, better data analytics as well as the use of machine learning and artificial intelligence software that can organize vast amounts of data are becoming a reality. The relationship of the patient to their doctor as well as the doctor to the surrounding medical institution will change. However, what these new methods and models of delivery will look like in the future is still unclear. Skilled and sympathetic health professionals are the most crucial piece for delivering quality healthcare.